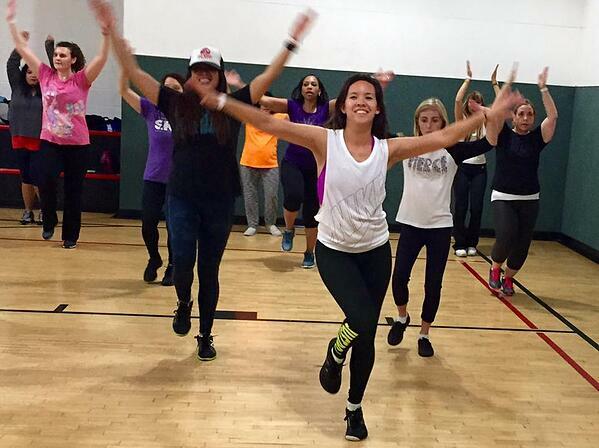 Have you always wanted to join the Sacramento Kings Dancers out on the court? Now is your chance! For a limited time, California Family Fitness members may attend classes to learn actual choreography and get exclusive tips and instruction from the dancers themselves. 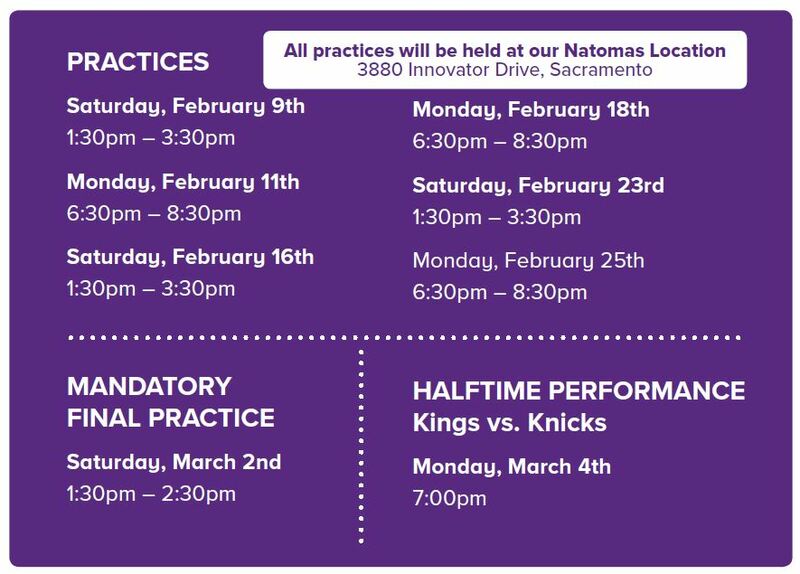 Best of all – you could shimmy your way into a live halftime performance at Golden 1 Center! Space is limited to the first 75 registered California Family Fitness members. Registration includes a minimum of (6) dance practices, (1) t-shirt, (1) Sacramento Kings ticket, and the opportunity to purchase additional tickets at a discounted rate. Registered participants must complete a minimum of 3 classes to qualify + attend the mandatory final practice on Saturday, March 2nd to be included in the halftime performance on Monday, March 4th. Must be a California Family Fitness member, ages 12 and older. Click here to see pictures from past practices.